The Remington Group is proud to announce the grand opening of the Toronto Marriott Markham, a cutting-edge hotel boasting innovative design and personalized service that reflects the artful, innovative spirit of the Downtown Markham community. Located near Birchmount Road and Highway 407, the 209-suite Toronto Marriott Markham is a vital part of Downtown Markham’s vibrant, culturally infused, mixed-use development focused on world-class design, modern amenities and environmentally responsible, sustainable growth. 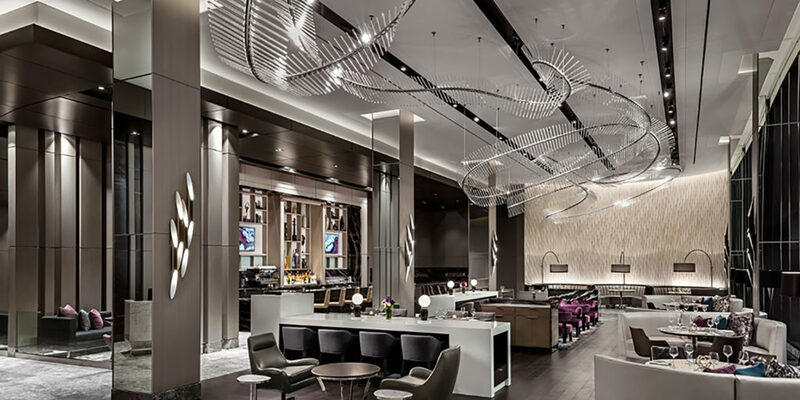 Selected by Remington for its elite brand cachet, the Toronto Marriott Markham is one of the first hotels in the brand’s North American portfolio to introduce an artful, visually dynamic design in its building, guest rooms and in-hotel amenities. The hotel offers more than 9,500 square feet of meeting space, an elevated infinity pool with floor-to-ceiling windows and access to a 24-hour fitness centre. Guests at the hotel will be in the heart of Downtown Markham, a vibrant, entertaining, culturally infused mixed-use development in the heart of Canada’s High Tech Capital that features over 2 million square feet of retail, dining and a variety of cultural projects, art installations and many kilometres of unblemished outdoor space. Downtown Markham is the newest downtown in Canada’s largest metropolis, the Greater Toronto Area. Downtown Markham’s award-winning retail complex boasts a variety of dining options, boutique stores and a contemporary art collection, anchored by Cineplex VIP Cinemas and the Toronto Marriott Markham. Downtown Markham claimed Gold as the best new development at the 2016 ICSC Canadian Shopping Centre Awards and was named Best New Community, Built, at the 2017 BILD Awards.